This sculpture was commissioned by the Arts Council of Great Britain for the Festival of Britain exhibition in 1951. 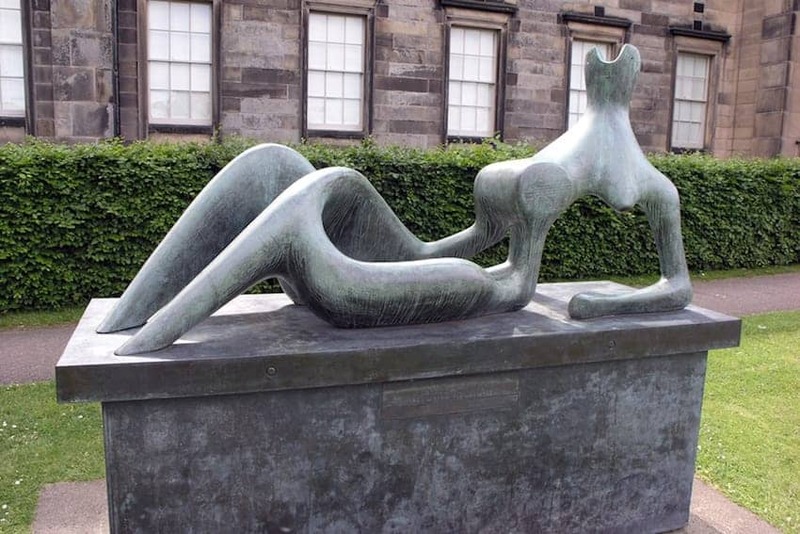 Henry Moore was asked to make a carving of a family group but chose instead to make a large reclining figure in bronze. The Scottish National Gallery's bronze is this original cast. Moore explained he preferred reclining figures as large standing figures have a weak point at the ankles. In the late 1930s he established the long, sinewy form which culminated in this sculpture. Moore increasingly worked out the shape in clay or plaster before casting the final work in bronze.